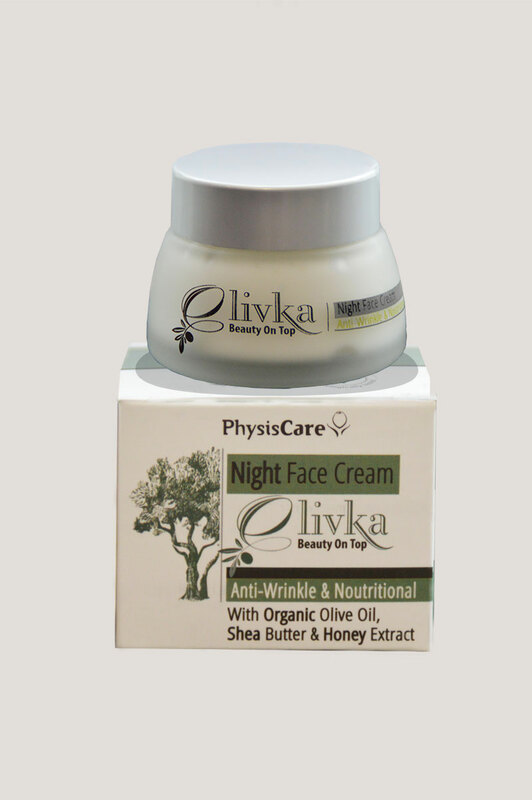 Nigh cream anti-ageeing and nourishing action. 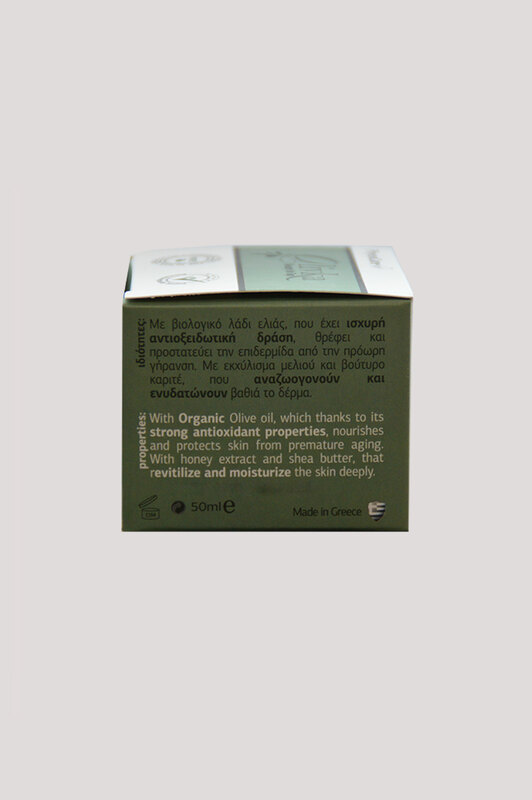 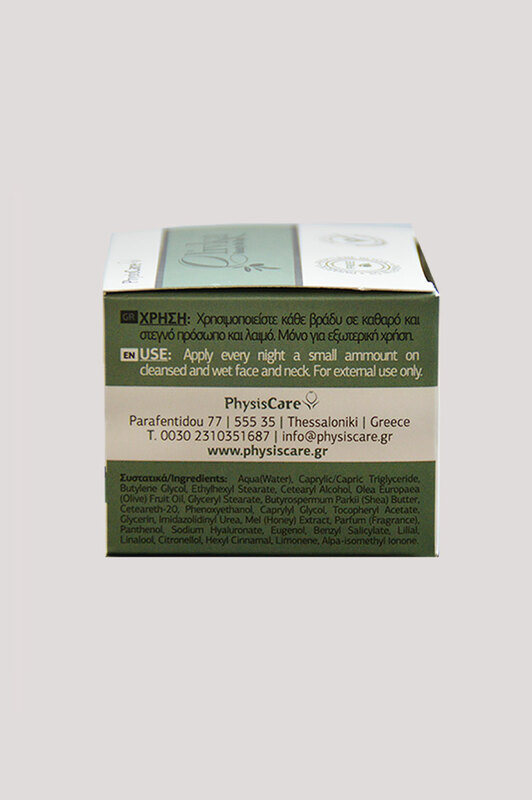 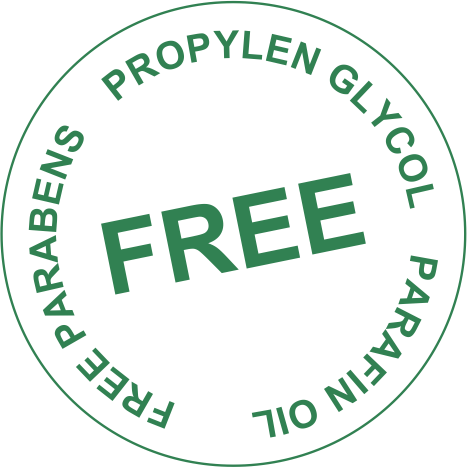 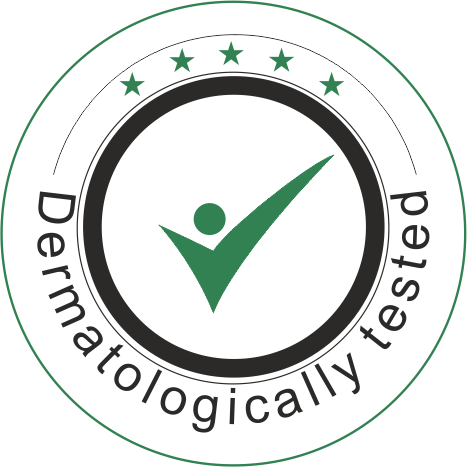 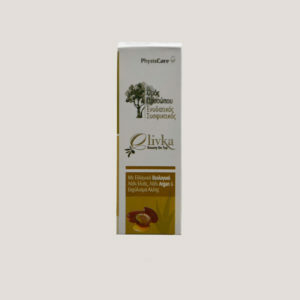 Including biological olive oil,that has powerful anti-oxeidant properties and prevents skin from premature ageeing. 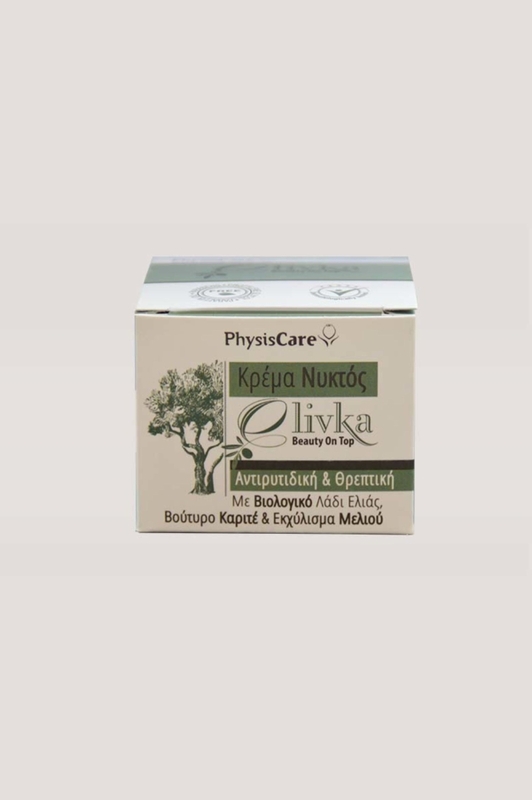 With honey extracts and carite butter, that nourishes, rejuvenates and moisturizing deep skin.